Klunky USB drives for fanboys are a dime a dozen. 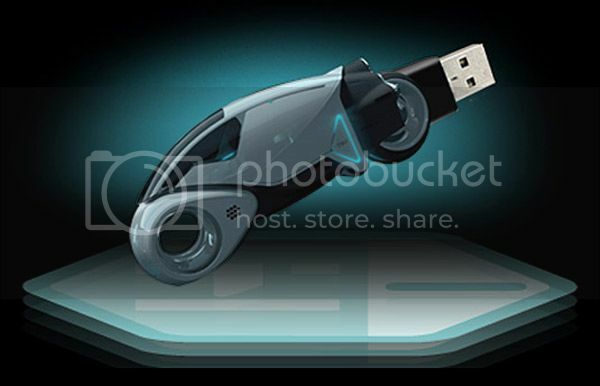 But damn if that part of my brain that controls covetousness didn’t start getting unruly when I saw this limited edition Tron Light Cycle 8GB USB drive. There’s also a black, 4GB version, but, you know… whatever. Look at the white one! Shiny! Blue lights! Via technabob, who had a bad experience trying to tame an unruly part of his brain with a cattle prod. I bought one. ‘Cause I am just that easy.